SACRAMENTO, Calif. /California Newswire/ — Today, Calif. 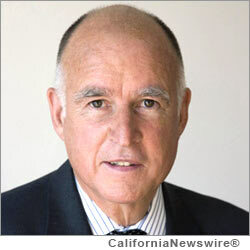 Governor Edmund G. Brown Jr. signed a tribal-state compact between the State of California and the Wiyot Indians. The Tribe has agreed to forgo opening a gambling casino on its lands, which are adjacent to the Humboldt Bay National Wildlife Refuge. In exchange, the Tribe will receive up to 3.5 percent of the gaming revenue from the North Fork Tribe’s casino, which is slated to open in Madera County. A copy of the compact can be found here (PDF): http://gov.ca.gov/docs/Wiyot_Compact.pdf . Wiyot people have lived in the Humboldt Bay region for thousands of years. The North Coast of California is rich with abundant terrestrial, reverine, estuarine, and marine resources. Wiyot people lived in permanent villages along the waterways which also served as travel and trade routes. Seasonal camps were made on the tribal lands and prairies, and mountainous regions provided berries, acorns, pine nuts, wild game, and basketry materials. Wiyot people actively managed their resources, burning for open grasslands, cultivating edible bulbs, and following strict hunting and fishing protocols. More info: http://www.wiyot.com/ .